Toolbox Supply offers a variety of efficient and reliable products for multiple moments of your day. We are committed to our customers by providing exceptional customer care. For customer service inquiries or to initiate a return, please contact Toolbox Supply at sales@toolboxsupply.com or (518) 514-2488. You can initiate a return for new and unopened items within 30 days of delivery for a refund. To qualify for a refund, items must be in new and unused condition with all original materials and/or accessories. If a return is not received at our processing facility within 30 days, it may be subject to a partial refund. You will be responsible for return shipping costs. However, if the return is a result of a fulfillment error, product defect, or damage incurred during shipping, we will refund the full cost of the merchandise. We will provide a pre-paid return shipping label for Non-Buyer's Remorse returns. All returns are subject to inspection, and if found not to be an error on our part, the return shipping costs will be withheld from your refund. SPECIAL RETURNS INSTRUCTIONS: Once the seller approves the returns request, they will provide a Returns Merchandise Authorization. The Seller cannot accept returns for used items. The Seller charges a restocking fee of 10% that will be withheld from the refund. The Seller will issue a partial refund up to 50% for used or non-restockable items. The popular Mighty Mite® canister weighs less than 9 pounds and cleans powerfully with a 12-amp motor. Plus it features a blower port to blow debris from garage or workshop floors. Formerly known as Boss® Mighty Mite®. For replacement filter use HF8 #60666B. Conveniently lighweight at less than 9 lbs. and easy to carry around the whole home. A 12-amp motor provides continuous, powerful suction for a deep clean. 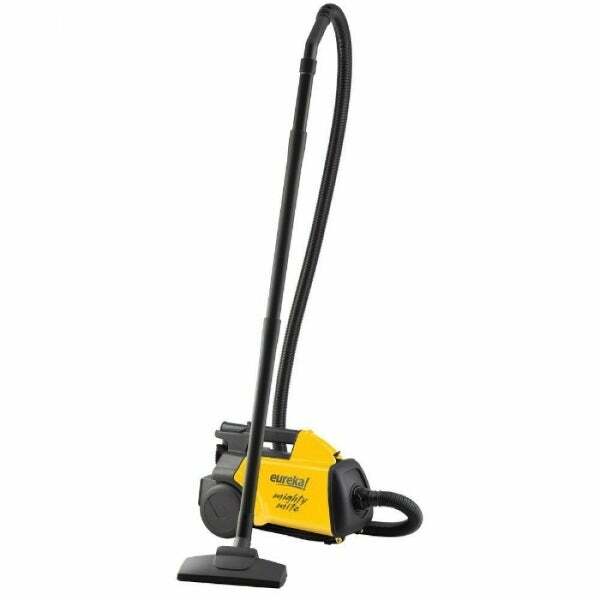 Conveniently blows away dirt and debris to easily clean garages and outdoor spaces. Remove the dust bag easily for a no-mess clean. Stores the cord to prevent tangles.